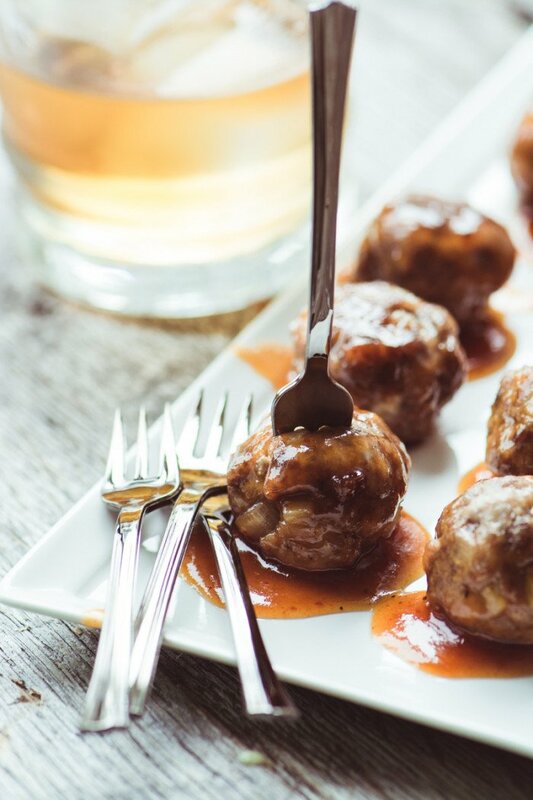 Bourbon Meatballs are tender juicy meatballs smothered in a sweet and spicy bourbon glaze...give your next cocktail hour an upgrade! Put the above ingredients, except the olive oil, in a large mixing bowl, breaking up the meat as you put it in. Mix together, using the tips of your fingers to gently combine everything without compacting the meat. I like to do this in my stand mixer. Form into small 1" balls, I use a small scoop to make them nice and uniform.